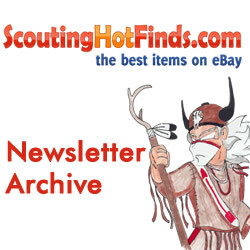 Scout Patch Collectors » » January’s Best Mixed Lots of Scouting Goodies! 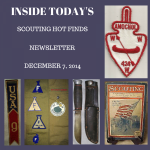 January’s Best Mixed Lots of Scouting Goodies! In the Hot Finds Newsletter I’m always on the look out for interesting pictures You might call them Boy Scout collecting eye candy. There’s nothing better then to see that little thumbnail image and wonder what goodies are in there. In the Tuesday Morning edition I always set aside an article box just to stick in pictures of five featured lots. So for this post I wanted to take a look back to January and see what were some terrific Scouting memorabilia mixed lot auctions that sold on eBay. Each of the ones I have here are very different but all were aggressively bid on by collectors and are worth a second look. Early Boy Scout Vest..Over 30 Patches..Vintage Diary! 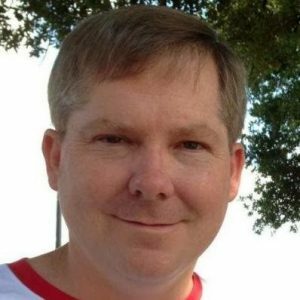 Who Is Buying All The Mixed Lots?